Gloucester Rugby have confirmed the signing of scrum-half Joe Simpson from Premiership rivals Wasps at the end of the ongoing season. Meanwhile, Ben Vellacott will head in the opposite direction as he was signed by Wasps from Gloucester. 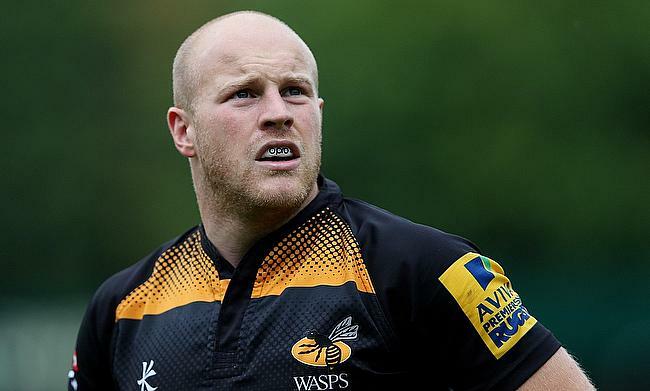 Simpson made his professional rugby debut with Wasps in 2006 and has racked up 248 appearances for the club including 175 in the Premiership since then. The 30-year-old has represented Blackheath on loan between 2006 and 2008 while also represented England at U19 and U20 level. He also made a solitary Test appearance for England that came against Georgia in the 2011 World Cup. “As we seek to build a squad that is capable of competing for honours at the highest level of the domestic and European game, strength in depth in our squad is crucial. And the addition of Joe to our ranks is a very significant one,” said Gloucester director of rugby David Humphreys. Vellacott was a product of Exeter Academy but made his professional rugby start with Gloucester in 2016 while representing Scotland at U17, U18 and U20 levels. He has featured in 26 Premiership games for the Cherry and Whites since then. “Ben is a young player with a huge amount of potential," said Wasps director of rugby Dai Young.